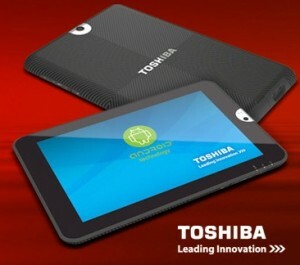 Toshiba Android Tablet | It-11 Audio / Tonegeek"
← Google Nexus Tablet ? Best Buy hasn’t announced a price or exact release date yet. There’s also a coming soon page at Amazon, where you can find more pictures but no more details about pricing or a release date. This entry was posted in What's up, doc ? and tagged android, toshiba. Bookmark the permalink.